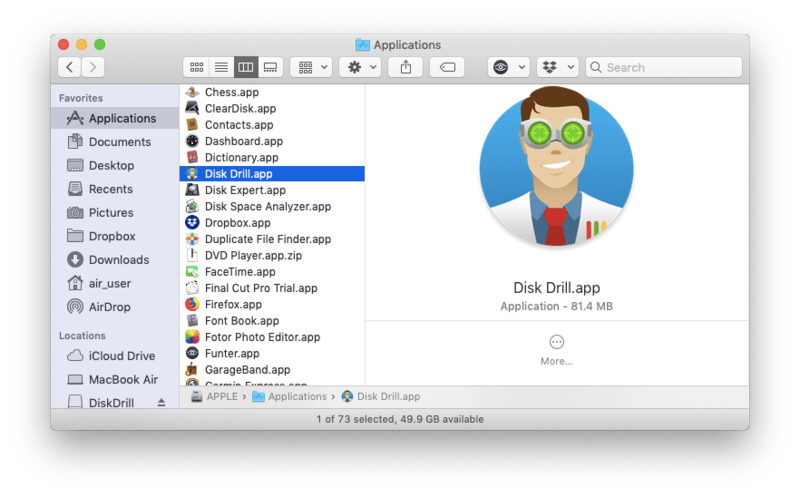 The Disk Drill Mac application is a software tool that allows you to recover deleted files on your Mac disk. It also helps if you’re having trouble obtaining access to an external USB drive or camera card. If you have used Disk Drill for some time and now want to remove the application, this article might be helpful. 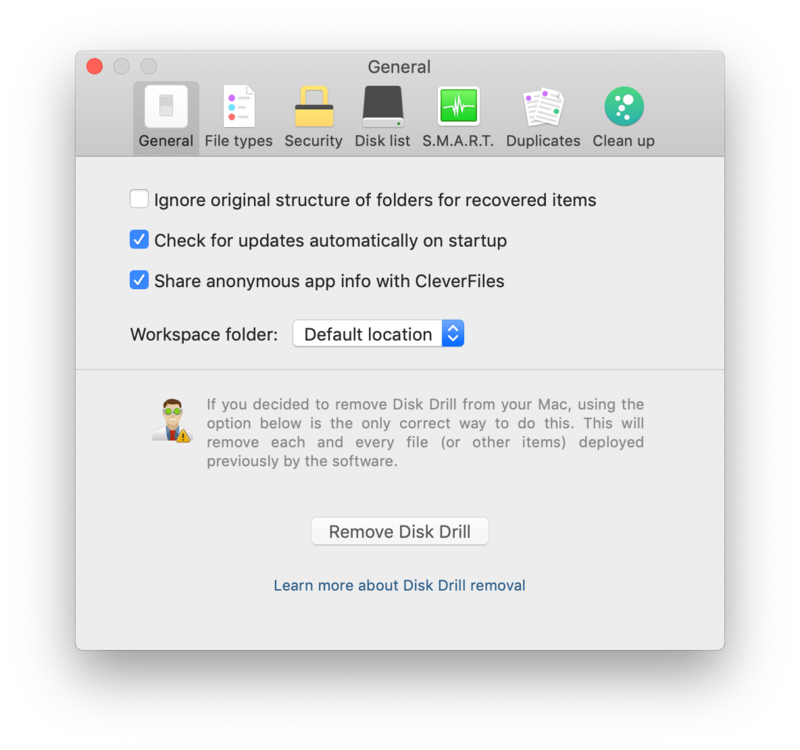 Today we are going to share three ways to uninstall Disk Drill on a Mac. Delete Disk Drill using its settings. Remove Disk Drill using uninstaller. Disk Drill is a software tool that creates low-core modules for its proper performance. Frankly, all applications create additional service files on your Mac. Disk Drill developers advise uninstalling the application using its Preferences window. For this, launch the Disk Drill application → click on Disk Drill in the menu bar and select Preferences from the drop-down menu → select the General tab in the Preferences window → click on Remove Disk Drill → confirm the action by clicking on Confirm Disk Drill removal. According to the Disk Drill’s developers, this is the only correct way to uninstall the app. They promise, that this will remove each and every file deployed previously by the software. Well, lets’ check if there are any service files of Disk Drill which remained on our Mac. 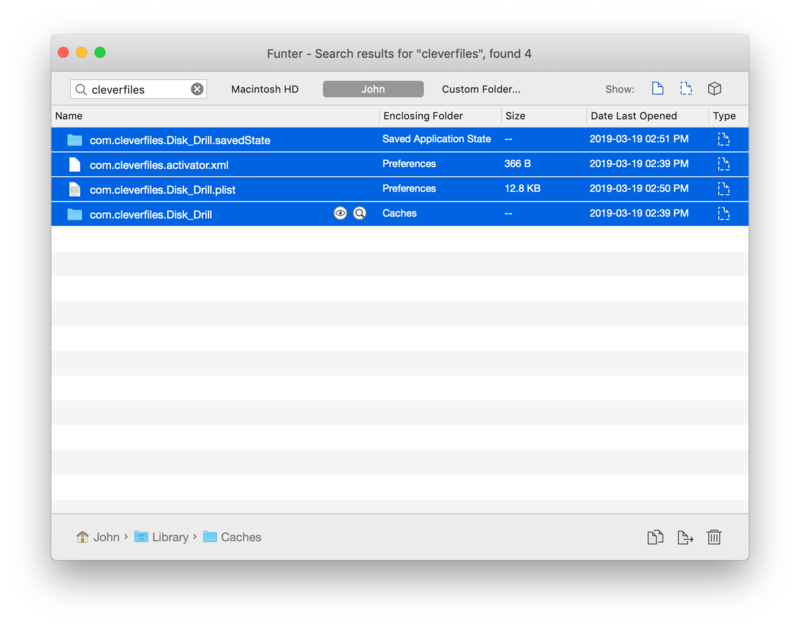 We used a free application Funter, designed to find any file on a Mac, including hidden service files of applications. On the screenshot below, you can see that Funter found some service files of Disk Drill after its uninstallation. We used the developer’s name CleverFiles to find them. This means, that the first method does not guarantee complete removal of the app. That’s why we recommend following one of the two methods below to completely uninstall apps on Mac. If for any reason you face an issue trying to uninstall Disk Drill from its Preferences or you also leftovers of the app on your Mac, you can remove the app manually. As we mentioned earlier in this post, Disk Drill creates and stores service files on your disk, which become useless and require manual deletion. Open the Applications folder → select Disk Drill.app → drag and drop it to the Trash. Open Finder → in the menu bar click Go → Go to Folder → in the window that appears, type ~/Library and click Go. Empty the Trash bin to completely delete the Disk Drill application. Find and select Disk Drill in the Applications tab. All its service files will be selected automatically. Click on Uninstall to remove the app from your Mac. Review the files you are going to delete and click Remove. Complete the Disk Drill uninstallation by emptying the Trash. There are lots of applications with different features which we use on our Macs daily. When it comes time to delete an app on a Mac, you can do it manually, or use a special uninstaller. 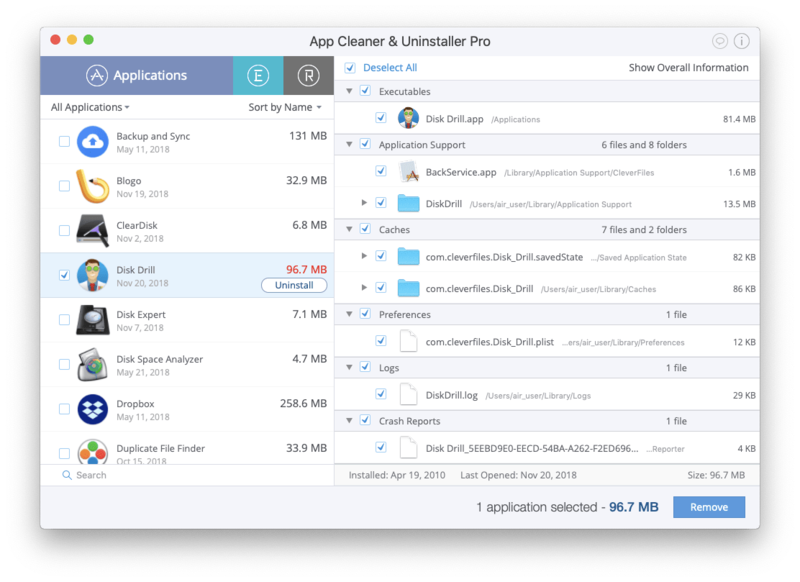 If you do not know the right way to completely uninstall an application on your Mac, we recommend that you use App Cleaner & Uninstaller.